China Marker Wax Pencil features a mechanical twist action to freshen the writing tip. Long-lasting wax stays fresh and never dries out. Bright vibrant colors are ideal for marking on a variety of surfaces such as glass, plastics, rubber, wood, metal or photographs. Spring clip secures pencil to pockets to help prevent loss. 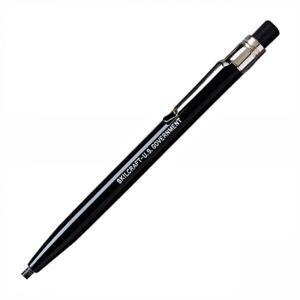 Mechanical pencil offers a durable plastic case for use in diverse environments. Refillable.